I was on my way to Hedge 8, a bar run by a friend of mine. It had recently opened, last time I was in Japan he was working at Hard Rock Cafe. It was my first day in Japan, I had arrived at Narita Airport only hours before. I had just dropped my bag off at my airbnb apartment, my friend’s bar was very close by. I thought I would drop by to say hello. 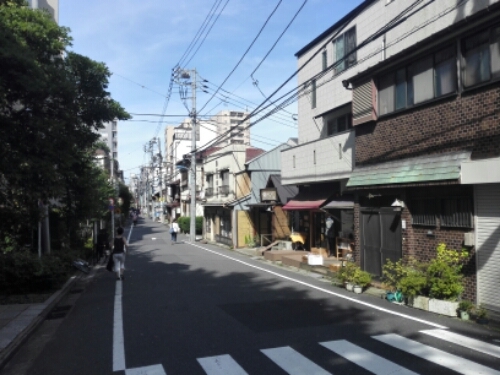 It was only about fifteen minutes to walk, basically I had to walk around the University of Tokyo. 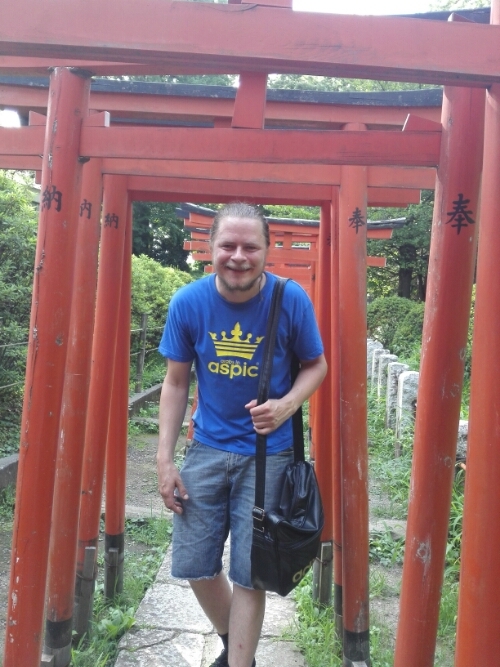 Tokyo in July is really warm, my t-shirt was soaking wet after only a few minutes. For the rest of my stay in Japan I had to learn to live with sweaty t-shirts. I bought a bottle of water from a 7-Eleven on the way, finished the water in no time. I wasn’t far from the bar, in the Nezu district, when I passed a torii, behind was a path leading to what must be a shrine. I had to take a look. Walked down the path, not sure what was around the corner. Nezu shrine is one of the more beautiful shrines I have seen in Japan, maybe because it came so unexpected. There are many beautiful shrines in Kyoto, in Nara, in Yanaka, but in all those places you expect to find them. Nezu shrine came upon me out of the blue. 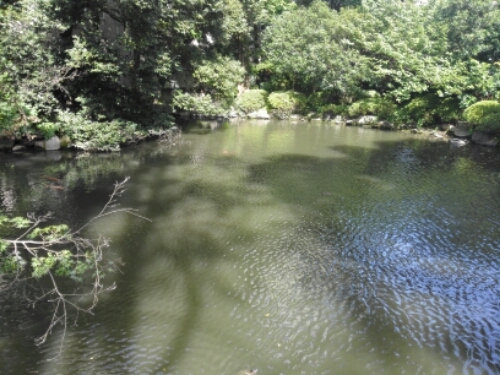 The shrine stood in the center of a park, a beautiful pond to my right, carps swimming in it as expected, a large open space, a hill covered in beautiful bushes to my left. A path was made through the bushes, torii after torii after torii standing over the path. 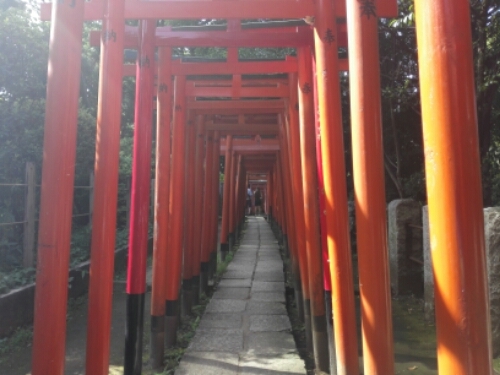 I took the torii-gate path, apart from in Kyoto I have never seen such a path in Japan, an image so popular in pictures. The long line of red toriies, people walking below. That shows how picturesque Fushimi Inari Taisha is I guess. For many people that image is Japan. 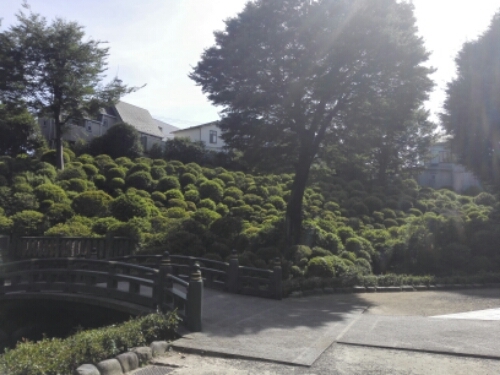 The path led to the inner courtyard of the shrine. Another pond, carps in it of course, a few more buildings behind the first one. 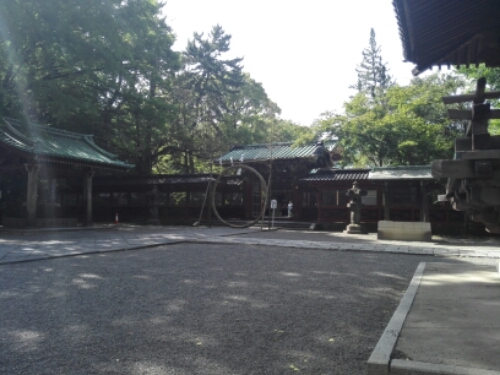 Nezy shrine, as it survived the intense fire bombing of Tokyo during World War Two, is one of the oldest shrines in Japan. The Shinto shrine was moved to its present location by Tokugawa Tsunayoshi, the fifth Tokugawa Shogun, around the year 1700. 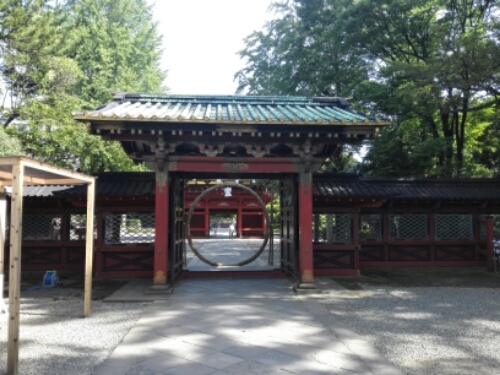 As it is off the tourist trail, and entrance is free, it is a great place to visit for a quieter, more serene Japanese shrine, away from the crowds of tourists at the more popular ones. Here, the few other visitors were Japanese. I spent half an hour wandering around in the shrine, taking in all the beauty, doing the ritual claps and bows in front of the shrine. Shinto I have found to be an interesting religion, if it even is a religion. 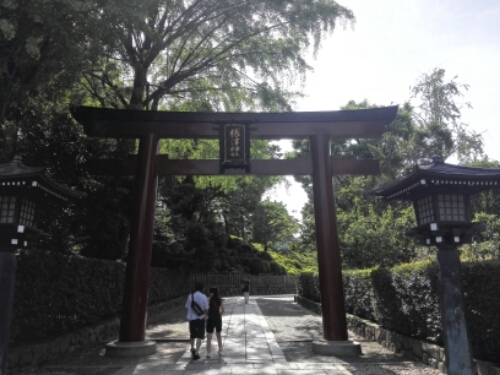 Shrines in Japan are not only visited by worshippers and tourists, there are couples walking hand in hand for a quiet, romantic walk, maybe sneak a kiss in a corner. Families with their kids for a day out, the kids running around, playing, shouting, doing whatever they want. Old people out to paint, using the shrine as a motive. As a ‘religion’ Shinto seems so much more relaxed then the religions of the West. Eventually, it was hot, I was thirsty, wanted a drink, I left the shrine. Hedge 8 was only down the street, a few hundred meters away. It felt nice to come inside, air-conditioned, a towel to wash my sweaty face. I ordered a beer, told my friend how beautiful I thought the shrine was. He then told me he got married there a year before. I love exploring cities on my own, without maps or guide books. Most of the great places I have found on my travels aren’t listed in guide books, I have found them myself. How do you like to travel? With or without guide books? Have you found any great places away from the tourist trail?